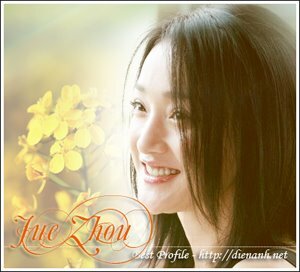 Zhou Xun: Zhou Xun's Independent Film "Ming Ming"
The newly awarded Golden Horse Best Actress Zhou Xun has a new film, "Ming Ming," slated to be in cinemas next March. Zhou told South Metropolitan Post that she could guarantee audiences will be able to see her most modern image in the new film. The movie "Ming Ming" is Hong Kong MV director Susie Au's maiden work on the big screen. Zhou plays two girls who look the same but have completely different personalities, Nana and Mingming. She revealed that the film is full of modern elements, not only tied to her performance, but also in its narrative structure, cinematography and musical soundtrack. "The director has a strong sense of modernity and a passion for movies. She combined many modern cultural elements in storytelling, which is a new undertaking for me," she said. Though an independent film, the movie has a stellar cast, including Zhou Xun, Daniel Wu, singer Jeff Cheung and Tony Yang. It was first screened at Pusan Film Festival in South Korea earlier this month. Zhou Xun sings both the Cantonese and Mandarin versions of the film's theme song "Have a Look," composed by Anthony Huang with lyrics by Lam Chik.